Hey y’all! I’m Ashley from over at Primary Teacherhood! I can’t believe I am over here at Minds in Bloom, guest blogging for Rachel. I have to admit, this is pretty darn exciting! I’m so thankful for Rachel for this opportunity, and I hope you’ll learn some great tips to take to your classroom! 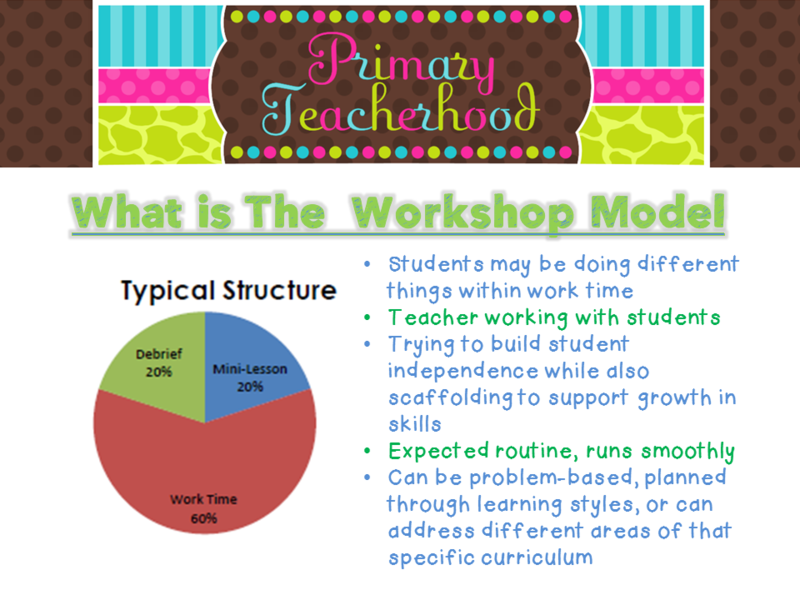 Today, I’m here to share a few tips and strategies for using the Workshop Model in your classroom, across the curriculum. For many teachers, I think it’s safe to say that their writing instruction follows this format (maybe you don’t even know it!). 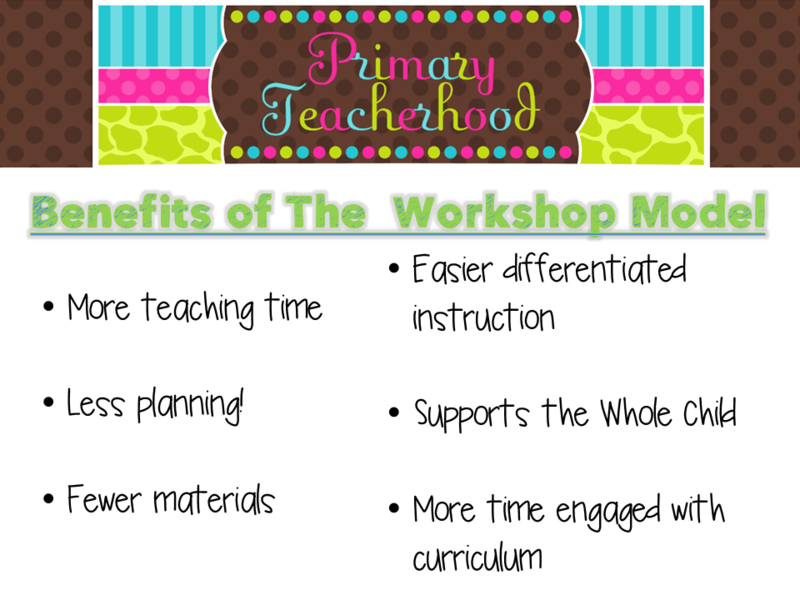 It’s a great teaching structure, and once you’ve used workshop for one subject, you’ll want to use it for everything – and it works! Why don’t I start by telling you what the Workshop Model is? The Workshop Model was originally developed to by Carmen Farina and Lucy Calkins as a way to teach writing but is now used for every subject in many districts. I love this article that has a little information about workshop. Workshop is a teaching structure that pushes students to be creative and responsible in their own learning. The Workshop Model asks students to take charge of their own learning, becoming active and engaged in their work and development of understanding. Using workshop allows teachers to be actively engaged with students individually or with small groups, facilitating and assisting in that understanding, while also providing individualized support. Students who are engaged in the workshop model are actively learning the material and concepts they need to master throughout the year. What do these components look like? In my second grade classroom, we use the workshop model for everything! And, yes, my students work for 60 minutes independently – no joke! (It took us a while to get here!) We’ll talk about this in a little bit, though. Now, you wouldn’t just start and throw your kids into 60 minutes of work time – any excellent teacher knows that (I know you are all fabulous!). You would gradually release responsibility to your students based on their needs and abilities. This means more time and guidance with you for your lower babies and more independent work time/less time with you with your above average ones. 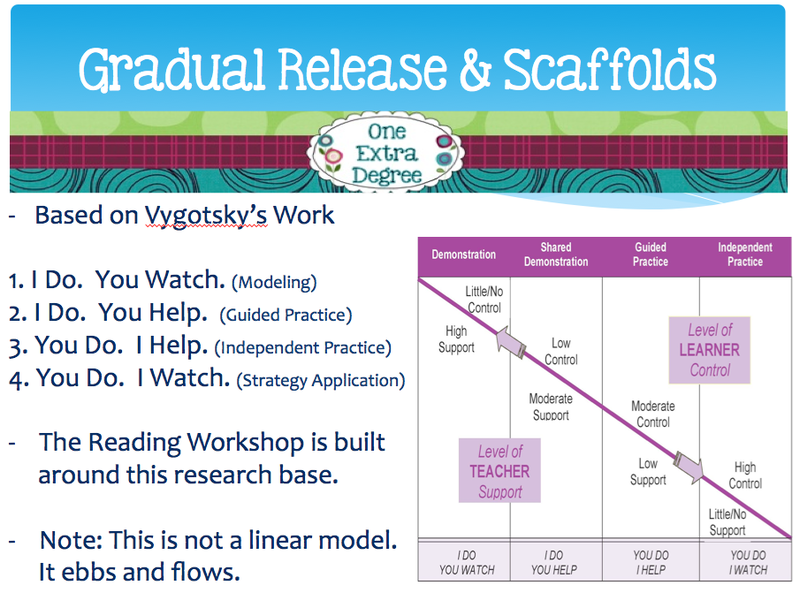 I love this graphic by Amanda Nickerson that shows what this gradual release might look like. I know what you are thinking. “But my rotations work for me. We have it figured out, my kids know the routine, and it works” – and that is, of course, wonderful if it works for you! But let me just get you thinking for a minute. Let’s say you use the rotation approach for both Reading and Math. Your students rotate to five different stations during both Reading and Math, and it takes them two minutes to transition. 2 minutes x 5 times = 10 minutes x 2 subjects = 20 minutes. In the small scheme of things, that 20 minutes may not seem like a lot, but imagine what you can do with that 20 minutes. For me that would be two quality reading conferences in reading and a small group lesson with my high kids in math. Also imagine how much time that adds up to in one whole school year…3,600 minutes! That’s a lot of time you are missing out on. Here are some other reasons why this structure is beneficial. Now, when I say “less planning,” I don’t mean I spend less time getting ready for the content that I am teaching. This mostly pertains to the preparation part of planning. I don’t spend time cutting, laminating, and organizing stations each week. I do use a lot of task cards, but I print them as packets rather than put them on a ring, because I will usually have different ones based on where my students are at in their mastery of the concept. This also makes less materials for me to organize! One of the greatest benefits, in my opinion, is the amount of time that students spend engaged in the curriculum. Instead of spending just 10 minutes on one small part, they can really dig deep and start working on some problem solving and real work tasks, which not only builds their thinking skills but also gets them to really understand the concepts they are learning. I know we are halfway through the year, and now might not be the best time to switch your routines. I’m sure your students know them like the back of their hand! I do hope that I got you thinking about the ways you can change your classroom by using the Workshop Model. I would encourage you to start with one or two subjects and really give it a try – Reading and Writing are usually the first thing that most teachers switch over – but you could start anywhere! Once you’ve tried this teaching model, you will wonder why you ever taught any other way! And, of course, this is just a small bit of information about workshop. There is so much more out there to learn. Here are some resources to help get you started! This is a great article in Scholastic with some fabulous ideas for Reader’s Workshop. 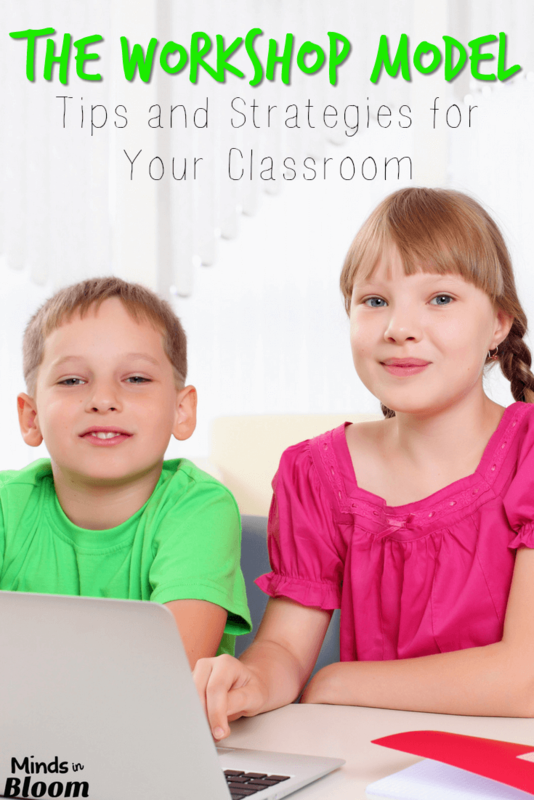 This teacher’s site has links to websites that have some great examples for mini lessons for Reader’s Workshop. I have been teaching 2nd grade for two years and love creating authentic learning experiences for my students. I am also a avid music lover. I sang in my school chorus, and I played flute in our symphonic band and baritone saxophone in our jazz ensemble. I don’t know what I’d do without music in my life and try to incorporate that love into my classroom, as well. 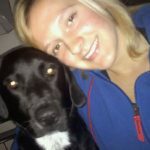 I also love getting outside and taking my dog for a hike or going to see the latest movie at the theater. 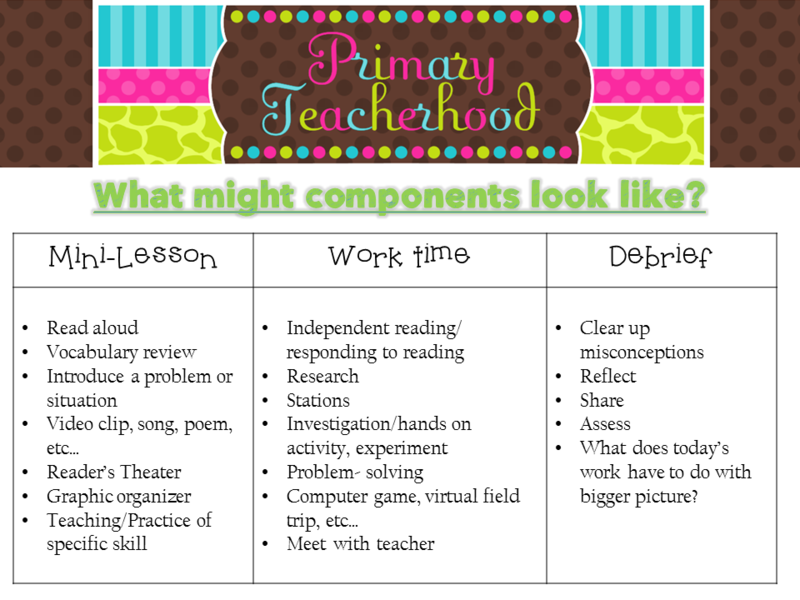 Check out my blog over at Primary Teacherhood and my TPT store, where I share a store with my fiancee (a 5th grade teacher), over at TeachNC for more ideas. You got me at "Supports the whole child." This makes so much sense! A lot of great ideas and resources. Thank you! Hi, Rachel. I referenced your article about the workshop model to help create a process I call Visible Reading. Thank you for your post. Hi Rachel! I am a Filipino graduate school student, and is currently writing a paper about balanced lieracy using the workshop approach. At the moment, I am having a tough time looking for resources where I can quote Calkins about her general idea as to why (and how) she developed this approach (or model, as you refer to it). I’m really hoping you can help me find books / articles / online resources regarding this matter. PS: Your site is really helpful especially for beginning teachers who applies this method. Keep it up! Fascinating that while your article is very much pro-Workshop model, an article that you linked to yours (http://lizditz.typepad.com/i_speak_of_dreams/2005/09/the_workshop_mo.html) is very anti-Worskshop model, and criticizes it as “shoe-horning” all curricula into this model. My apologies. I otherwise find your article to be positive, encouraging and informative. Thank-you.